John Lennon was a lucky man – a talented, lucky man. Aside from his world-renowned and legendary music career, Lennon also had excellent taste in cars. In fact, the first car Lennon ever bought was the 1965 Ferrari 330GT 2+2 that you see above. The story surrounding how Lennon got the Ferrari is rather an amusing one. Just after the Beatles released the single “Ticket to Ride,” British newspapers reported that Lennon had finally passed his driving test. According to the Bonham’s auction site, London luxury car dealers didn’t miss a beat and drove the finest and flashiest vehicles in their showrooms out to the front gates of Lennon’s house. Lennon and his then-22-month old son Julian and then-wife Cynthia stepped outside their home and of the Jaguars, Maseratis, and other sports and luxury cars that packed their front lawn, they chose the Ferrari 330GT. Lennon picked up the Azzuro Blue beauty in 1965 for a measly £6,500 ($9,900), which is the equivalent to around $71,000 today. Bonham’s auction house, where the Ferrari will go up for bidding, is expected to fetch anywhere from £180,000 to £220,000 (or $275,000 to $336,000) at the Goodwood Festival of Speed in Chichester, UK, on Friday 12th July. Lennon personally put 20,000 miles on the Ferrari. 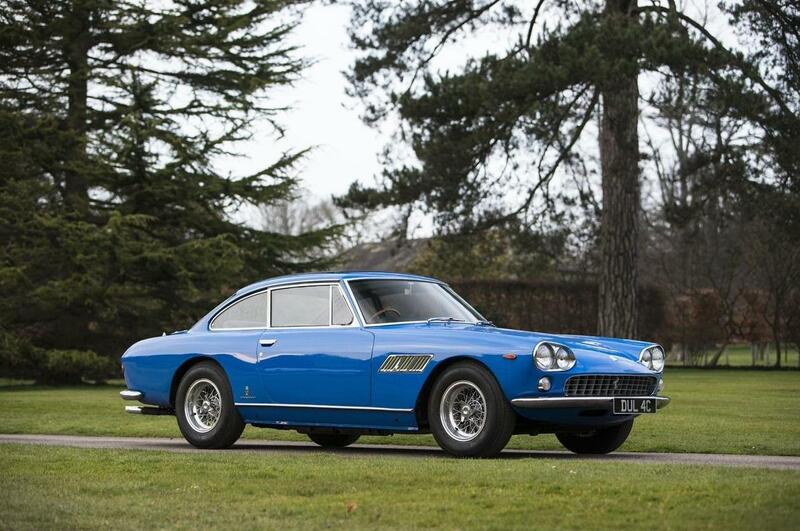 Although it was painted red in the 1980s, the Azzuro Blue 330GT has been restored its once-original luster.